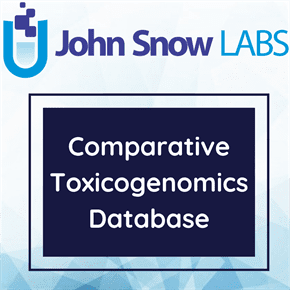 This dataset contains the results of Gene Ontology (GO) enrichment analyses performed for groups of genes that are in some way affected by a chemical. This analysis was done using the tool GO-TermFinder resulting in GO terms shared between the genes, creating information used to inferences in the biological processes, molecular functions or cellular components that might be involved in the effect of the chemical over the genes and/or the mechanism of disease. The Gene Ontology terms, developed by the Gene Ontology Consortium, is a system that allows to verbally describe the functions and processes of genes once these are identified, by annotating the genes to a series of standardized terms and vice versa. This system also permits to find common characteristics (common denominators) between genes by performing a Gene Ontology Enrichment analysis. Gene Ontology (GO) terms are used as an aid for annotation of a gene allowing standardized descriptions by annotating GO terms to the genes (or vice versa) in the Gene Ontology Database. This method makes possible to search genes that share common characteristics (described with the GO terms) and run objective analyses around these characteristics. Gene enrichment is a statistical analysis to identify over-represented (over expressed) genes from a large pool of genes or proteins that share a common characteristic (i.e. microarray); these over-represented genes could be associated with the disease. Enrichement is statistically Comparing GO terms to the genes set to understand the biological processes of those genes. The test determines if the GO term is enriched for the genes. GO-TermFinder is a tool used to find gene ontology information and analyze the annotation of the GO terms to a microarray (a large group of genes) calculating the statistical significance of each annotation to find significantly enriched gene ontology terms associated to the list of genes. By performing this analysis scientists can determine if the genes have a share a common characteristic by finding the terms that are more strongly associated (by annotation significance) to the group of genes. GO-TermFinder uses the hypergeometric distribution statistical formula to find the significance of the annotated GO terms.